The New Year usually brings in new luck. And for 2018, Shakey's helps you reap abundance and prosperity in your home by sharing happy bonding moments with the family over #Lucky2018 bountiful feast! Present at the Shakey's #Lucky2018 Meal Deal launch were Luis “Lucky” Manzano (Shakey's first-ever celebrity endorser) and his dad, Edu Manzano, who were introduced as new Shakey’s ambassadors. Shakey’s continues on to be part of the Filipino’s dining experience and now they are taking it one step further by announcing their first the father-and-son tandem. 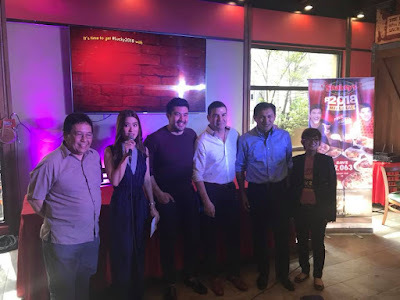 Luis Manzano-Edu Manzano tandem best represents fun, family and pizza, and Shakey’s, hopes to reach out more to patrons to make their own Shakey’s moments through this new partnership. The grand reveal was held last January 10, 2018 at the Shakey’s 200th store, Shakey’s Magallanes--- one of its biggest and most popular outlet with a mini-arcade Fun Zone for kids and families to play and bond together. "Edu and Luis embody the brand in every way, which is why we are excited to welcome them into the Shakey's family this 2018," according to Shakey’s President and CEO Vicente Gregorio. 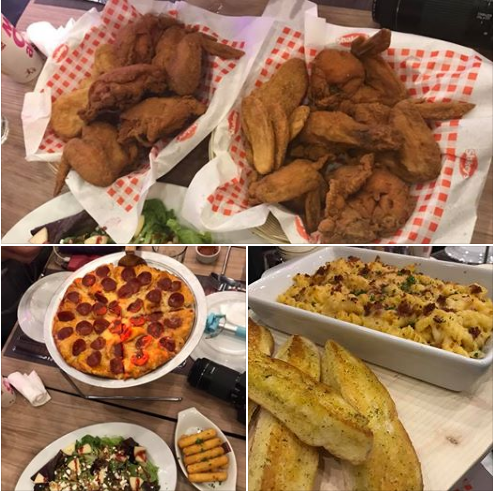 "Guests will surely be lucky with this meal deal, since Shakey’s is centered on exceeding their expectations. 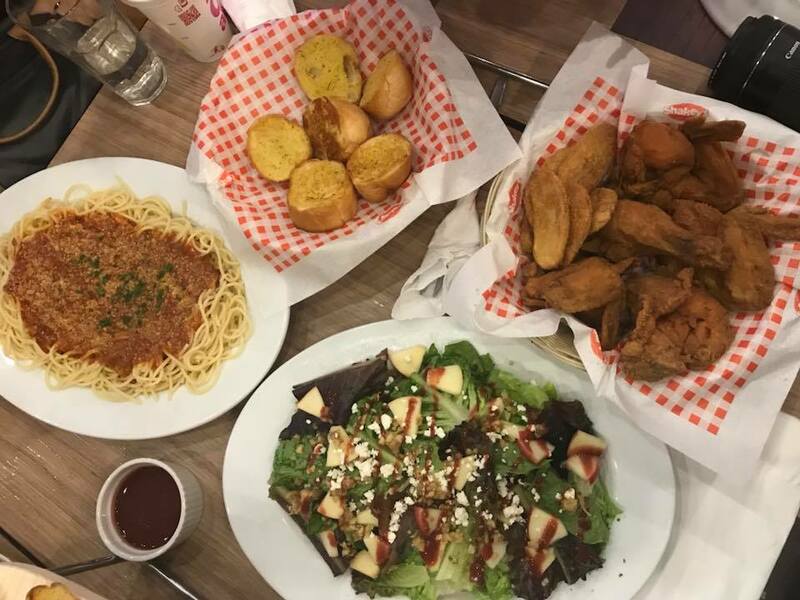 It has become a tradition for Shakey’s to offer something more fun and family-friendly meal deals each year, and this 2018 is no different as we present the 2018 Meal Deal," he added. The guests were then treated to the #Lucky2018 feast! Each table got two large Thin Crust pizzas, two platters of pasta, ten pieces of Chicken 'n Mojos, ten piees Mozzarella sticks, a platter of salad, and two pitchers of iced tea. Shakey's also offers Bacon & Cheese Fusilli Pasta to their pasta choices this year. This baked pasta comes in a delicious creamy blend of parmesan, mozzarella and cheddar with crispy bacon bits sprinkled on top. Get all these plus a free SuperCard for only P 2018. Make your celebrations even more special this 2018 with @shakeysph 2018 Meal Deal. 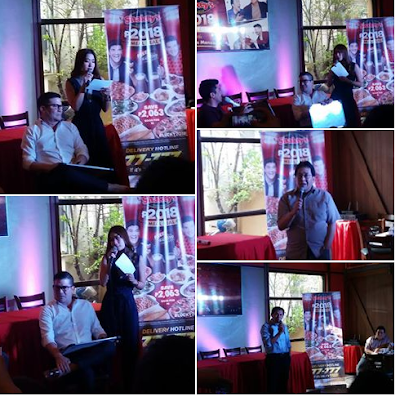 Like Shakey’s Pizza on Facebook and FOLLOW @shakeysph on InstagramLfor more iinformation.